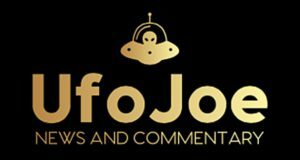 The Mutual UFO Network’s chief photo expert, Marc D’Antonio, says he was on a US Navy submarine when they tracked a very fast moving object in the ocean. 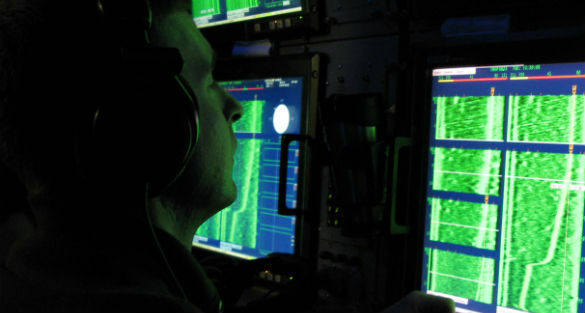 Subsequent responses from Navy personnel lead D’Antonio to believe the Navy has a secret program regarding Unidentified Submerged Objects (USOs). USOs are the underwater equivalent to UFOs. 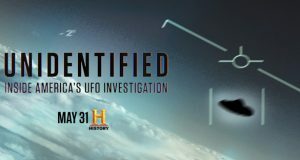 Although much less popular, there are famous USO cases Ufologists often reference. One of the most interesting USO stories, for me, is that of my friend D’Antonio’s. I have heard it several times in his company, and I believe we talked about it on one of his many appearances on the Open Minds UFO Radio podcast. D’Antonio, beside being an astronomer and photo expert — among other professional exploits — is also a model maker. He has had several government contracts to build models, many requiring a Top Secret clearance. Among these contracts have been projects with the Navy. D’Antonio says he was once invited to take a ride in a nuclear submarine and at one point things got weird. Although D’Antonio has told the story before, it has not been featured in the mainstream media until recently. 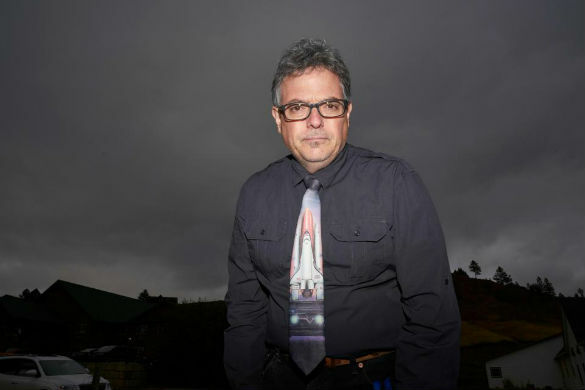 D’Antonio and I both gave presentations at the recent Devils Tower UFO Rendezvous in Hulett, Wyoming, and Emma Parry from the UK’s The Sun was there to write about it. 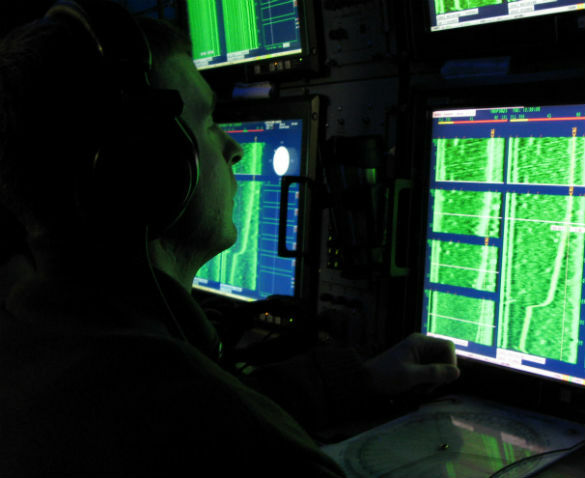 “So he goes to another sonar machine and confirmed it wasn’t a machine anomaly – it was real. I thought ‘Wow that is incredible’. “I asked him ‘Can you tell me about the Fast Mover Programme? '” Marc explained. “He looked at me and said ‘Sorry Marc I can’t talk about that programme’. “So he basically confirmed to me that the programme exists – he said everything without seeing anything. Pretty odd encounter, I believe. I have known D’Antonio for a long time, and he is very careful about what he says. He is known for his skeptical perspective, as any good scientist should have. So, for me, his claims go a long way. Some readers may respond with “Duh! Of course the Navy tracks USOs!” Others may feel like D’Antonio’s claims are too sensational to be believed. All I can say is that I trust D’Antonio, for whatever that is worth. 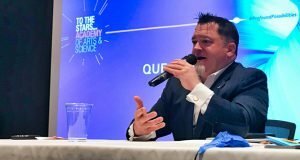 Watch Marc D’Antonio and his friend and colleague, special effects guru Doug Trumbell, talk about their UFO project at the International UFO Congress here. It appears to me that you created something you believe to be a program, when in fact the program did not exist. The sonar operator was merely reporting a fast mover, not part of a Navy program that you decided was the ‘fast mover program’. You led on the officer to believe that you thought there was something here that you believed was a program when in fact there was nothing. By your, action you have sensationalized something that was not. I am an ex-submariner with many years experience, so I know of which I speak.